The first electric car on two wheels! 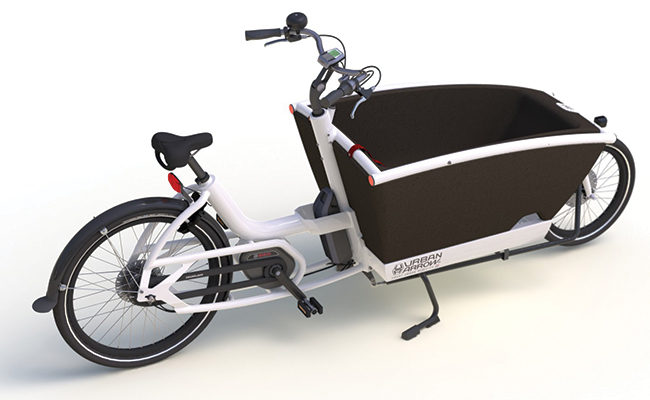 The Family is a cargo bike with electric assist that quickly and safely carries your children across town. 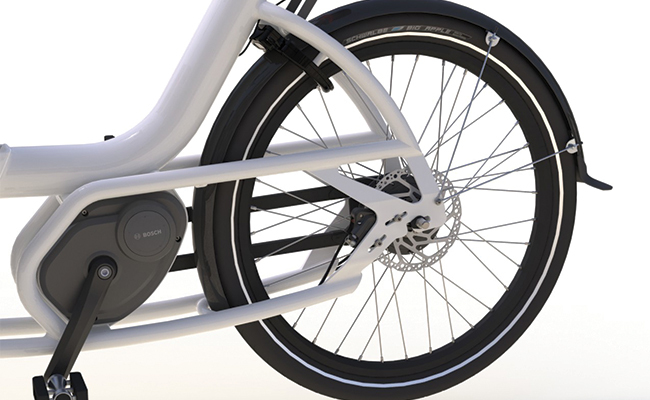 The bicycle has a lightweight aluminum frame and can be easily and smoothly maneuvered through traffic jams. Together with our practical accessories, such as a folding bench or extra child’s seat on the back, you can completely customize it to your family needs. Total Dutch design. So… no car needed; cycling it is! 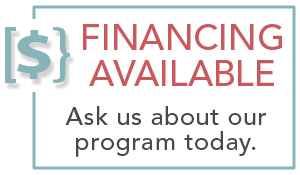 This model is dubbed the “Family” for a reason; it is focused on the safety of your children. 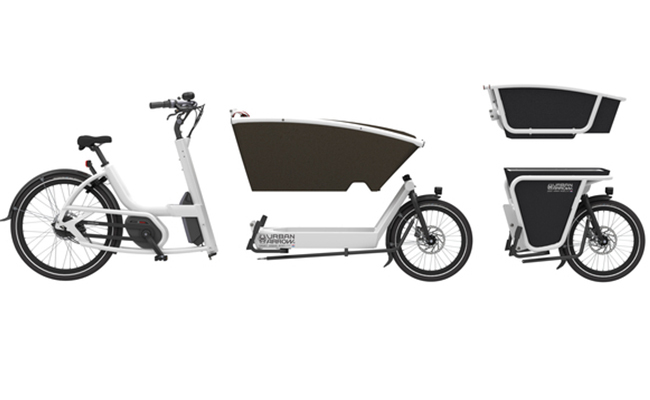 Because children sit lower than other cargo bikes its center of gravity is closer to the ground, which gives it better grip on the road. The robust and shockproof foam (EPP) box gives your children extra padding and protection. Consideration was given for the driver, who can always reach the ground, but is nevertheless seated upright. Which makes the bicycle comfortable and gives the driver a good view on the road. The Family is very comfortable to use. 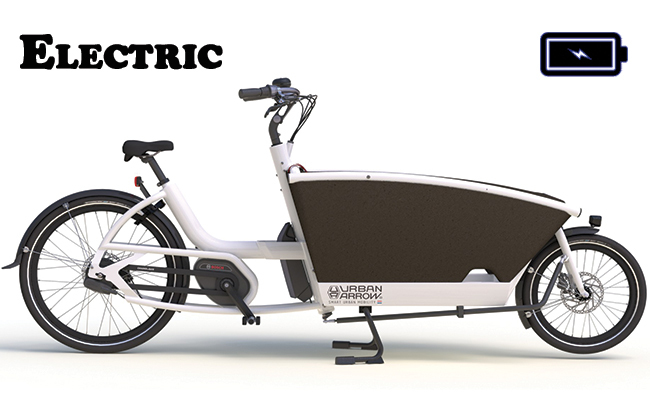 With its electric assist you are always riding downwind. And it easily changes gear thanks to the continuously variable transmission by NuVinci. Which means changing gears without thinking. With its lightweight frame and low center of gravity the Family is easy to maneuver. Even when it’s loaded with children. 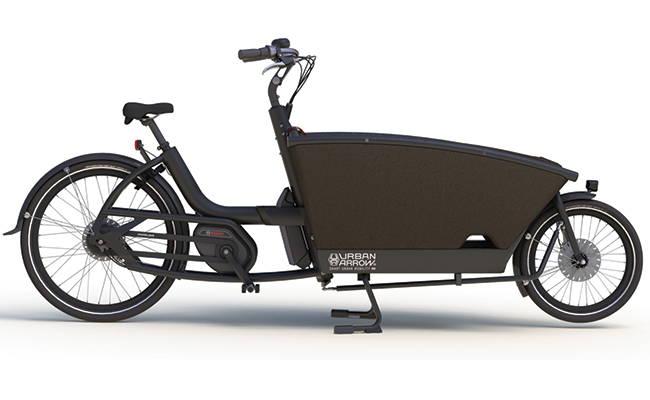 Driving up and down curbs are no problem with this robust bicycle thanks to its wide tires and foam (EPP) box, in which your children have a soft seat. In a nutshell: fast and comfortable. At your destination, before you know it. The Family is entirely child proof. Not just thanks to its soft foam (EPP) box, but also because of the handy and sturdy foot hole that assists children in climbing in. That’s not all; the protective Hebie chainguard is entirely closed, so that no contact with the chain can be made. The Family can be flexibly customized. Thanks to its modular nature you can easily transform it into a Shorty – e.g. when your children don’t fit in the box anymore. We also have a wide range of accessories, such as a foldable bench for comfort or a base for your Maxicosi or Yepp seat. This is how The Urban Arrow Family adapts to your family. 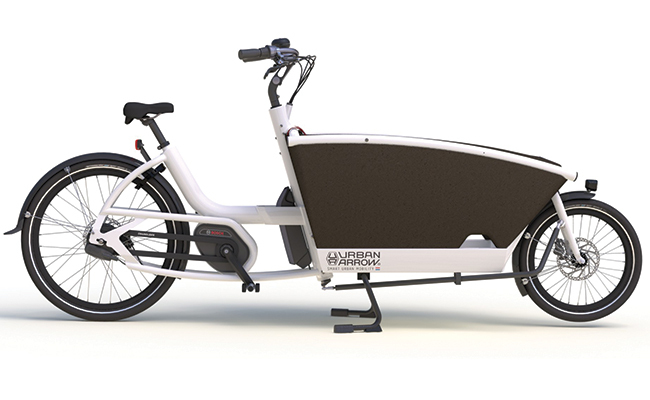 Made in Holland, Nuvinci 360 CVT hub gearing, Bosch Active mid-drive with Porwerpack 400 battery, Schwalbe Tires, Aluminium frame, Front and rear fenders, Fully enclosed chain guard, Front and rear light, Hand-Operated front and rear brake, Rear wheel lock, Aluminum rims, Four point kick stand.